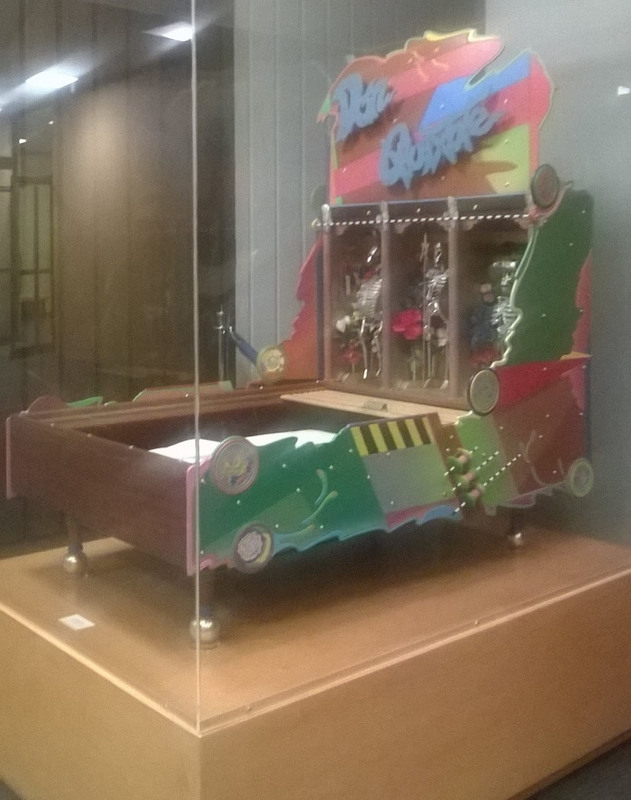 Don Quixote Suite Case is a mixed media artwork using a pinball machine that has been painted. Dia de los Muertos skeletons are utilized in the top portion of the piece. Created by J. Pearson. 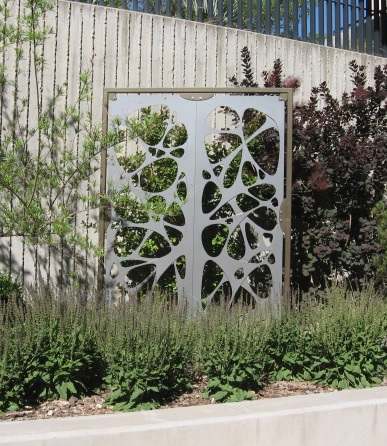 The metal sculpture is based on a pair of garden gates designed by Tom Thomason and consists of two decorative metal panels located in the Tom and Jo Thomason Garden. 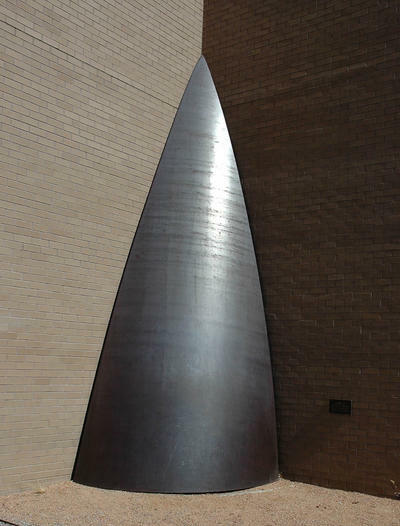 Cone 10 is a large abstract steel sculpture with rounded edge facing out of an exterior corner of Main Library. Created by Tom Waldron. 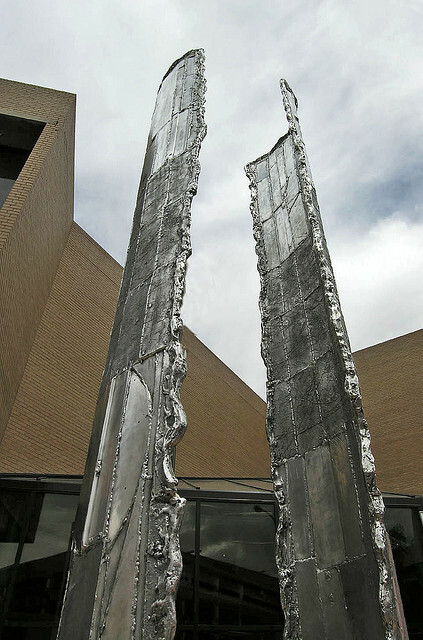 Metal Pages is a sculpture consists of two tall cast aluminum towers of half circles facing each other located at the entrance of the Main Library.